Throwback: A nice review of PRESTER JOHN's "Desire for a Straight Line" from Exposé Music Newsletter. http://www.expose.org/index.php/articles/display/prester-john-desire-for-a-straight-line-3.html 1 month 1 week ago. PRESTER JOHN shared a post. I'm delighted to be featured on the Finale Music Notation Software blog. :-) 1 month 3 weeks ago. Two articles in Taylor Guitars "Wood&Steel" this year. Slide for Beginners in the Fall issue and my take on Taylor's V-Bracing in the Summer issue. https://www.taylorguitars.com/wood-and-steel 3 months 2 weeks ago. PRESTER JOHN shared a post. Shawn Persinger teaches the Music of The Beatles starts in a week and a day. Email or message me for more information. 3 months 3 weeks ago. It's beginning to look a lot like Modern/Primitive Guitar. Illustration by Gonzalo Fuentes Riquelme. 4 months 13 hours ago. Guitarist, Shawn Persinger is Prester John, is back once again and this time he's brought along some help (not that he needs it) in the form of mandolin virtuoso David Miller. The daunting task of describing the music of Shawn and David, collectively known as PRESTER JOHN, is not a lack of superlatives but their uncanny ability to transform a multitude of disparate genres into a new but familiar sound. Hints of Jazz, 21st Century Classical, Rock, World and Bluegrass pervade everything Prester John touch but you are always left with a feeling of refreshing originality that begs you to guess what might come next. 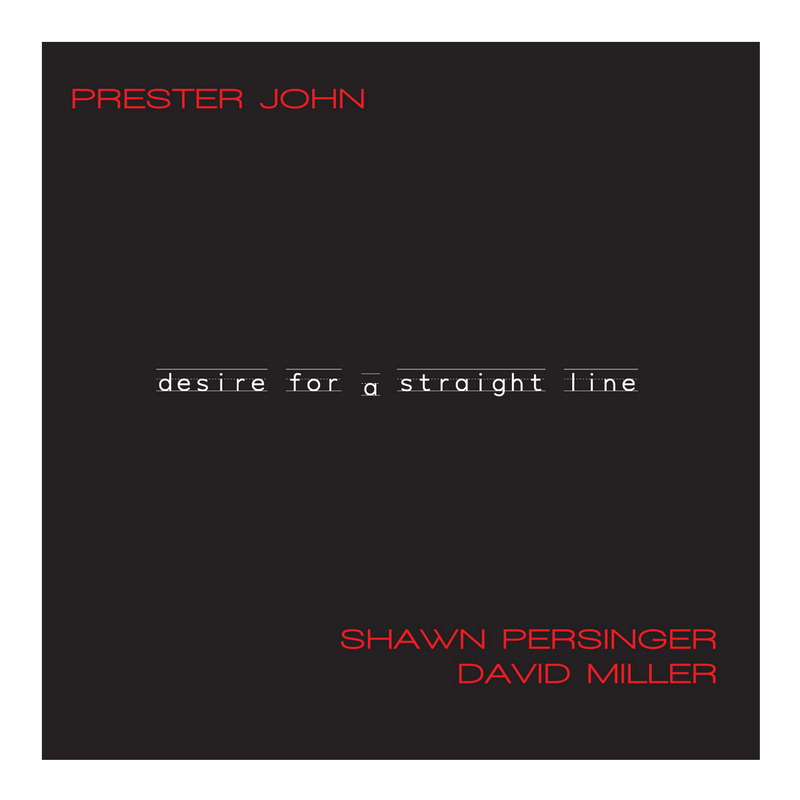 Challenging yet accessible; varied yet cohesive; smart and whimsical; when it comes to Prester John's music paradox is the name of the game, a reputation Shawn Persinger established with his previous release, 'The Art of Modern/Primitive Guitar' and that he has continued to develop in the intervening years as both a composer and an instrumentalist. "The acoustic duo's new album, Desire for a Straight Line, is an eclectic assortment of slipstream compositions touching on prog-tinged jazz, classical, manouche, and newgrass idioms. It's a lot of fun." "Acoustic guitarist Shawn Persinger and mandolinist David Miller mash up styles and genres with glee and abandon on the 16 technically challenging and intricately arranged instrumentals. The playing and musical interaction are virtuosic throughout, and the performances fun, exciting and surprisingly accessible." 'Prester John have an eclectic sound, playing music filled with eloquence, invention and a touch of mischief. Like a bottle of wine with a vibrant bouquet, their album Desire For A Straight Line contains an intriguing blend of elements from folk, rock, classical and jazz. 'Throughout guitar and mandolin are in perfect balance, with both players displaying impressive chops in either leading or supporting roles, whatever the genre. The dramatic “The Library Thief” pulsates with tension as Persinger and Miller’s voices blend, separate, whisper and shout. The duo races through the excellent Middle Eastern-themed “Plain of Jars”, Persinger playing with splendid depth of tone, Miller’s mandolin matching his bold colors and textures. The wondrously creative “Song for Henry Threadgill to Sing” displays their humorous bent within a free jazz context. Their interplay crackles with tonality on “Making Circles”; Persinger and Miller have more wonderful dialogue as they trade off of each other in the best jazz tradition. “Wender’s”, like “Plain of Jars”, has a Middle Eastern pedigree, Miller’s intense plucking giving this song a dimension of urgency. “Piano and Violin Duet No. 1” and “Marionette Waltz in Four” are delightful tongue-in-cheek takes on classical themes. While all of the tunes are involving, the album’s signature song might be “The Favored Colour of Light”, a stirring, rock-inflected epic in the making. Prester John’s distinct yet similar voices create a stimulating intertextuality. Blink and you’re bound to miss something, and something exciting, at that. To call this music “avant-garde” would be partially accurate, partially dismissive — there are some wildly abstract passages here, but also many hauntingly beautiful melodies and head-bobbingly pulsing rhythms. There’s some modern jazz in here, something that recalls Eastern European folk, something invoking modern classical, and, here and there, something showing Persinger’s prog-rock roots. Persinger and Miller are strikingly well-suited duet partners: Sometimes their passages dance around each other in tangling patterns, sometimes they call and respond to each other playfully, sometimes they join in head-spinning unison (it’s interesting at these points to see how Persinger’s more “out” compositions, which can be so rhythmically challenging and tonally surprising that they feel like crazy improvisations, are actually tightly composed and entirely deliberate), sometimes one’s rhythm helps anchor the other’s soloing and allows the playing to really sing. Having a foil in such a copacetic player as Miller helps illuminate the method to what the uninitiated might mistakenly see as madness on Persinger’s part as a composer, and the tonalities of their instruments are quite fitting. This is inventive, virtuosic, attention-grabbing stuff, and as difficult as this description might make it seem, there’s a lot in here a person could whistle while walking down the street too. "Hints of jazz, 21st century classical, rock, world & bluegrass pervade this recording. You may be left w/a feeling that begs you to guess what might come up next." "Prester John doesn't just take assorted styles and blend them, it takes them as singular entities as well, treated with a flurried attack and passion. When it plays bluegrass, you feel down home; when it swings, it'll make your jitter bug. The group flirts at multiple genres in between these posts and revels in the delight of those who just dig music in general without necessarily figuring it out. There's plenty of dexterity to wow the pros and plenty of simplicity to thrill the citizens." This is acoustic guitar and mandolin at its best, with great tunes and great interplay between the two musicians. Highly enjoyable. Desire ... takes you on a ride even wilder than Mr. Toad could have imagined. Flying all over the neck and rarely stopping to catch his breath, Persinger makes fast guitar playing someone actually would want to sit down and listen to. His licks are interesting, articulate, and they groove. The highlight ... is easily track six, "Making Circles" ... infusing a brilliant array of styles as well as a fantastic use of the space around the notes at certain points.